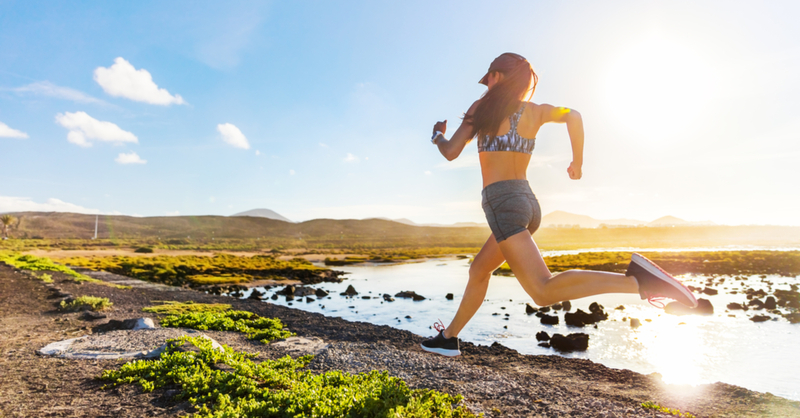 The sun is shining and you’ve dusted off your old running shoes… now what? 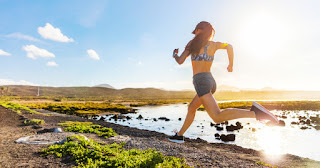 Whether you are resuming a fitness routine this summer, planning on playing some outdoor sports, or just keeping up with your existing routine, it’s important to nourish your body in order to yield the best results from being physically active and avoid injury. If you are looking for some nutrients to help ensure you maintain joint health, read on! The nutrients that you choose should focus on supporting the joint structure itself and easing both inflammation and any discomfort of the joints. Herbal blends naturally work via multiple mechanisms to help ease inflammation and uphold healthy joint function and mobility. Scientists have formulated a powerful trio of krill oil, astaxanthin, and hyaluronic acid to support healthy joint function. Hyaluronic acid is produced naturally in the joints, where it acts to lubricate and cushion against repeated physical impacts. Because it forms a major component of cartilage and soft tissue, it is widely used to promote joint health. 7 Krill oil is a natural source of the antioxidant carotenoid astaxanthin. 8 Astaxanthin works in multiple ways, including suppression of free radical activity, thereby easing inflammation. Similarly, krill itself eases inflammation, as it is a source of omega-3 fatty acids. Examples include: meat (especially non-grass-fed meats), dairy products, sugar, and soda. If you've had injuries in the past that have impacted your joints, try swimming or water aerobics. visit our Spotlight on Women's Health page! About the author: Holli (Lapes) Ryan RD, LD/N is a Social Media Content Specialist at Life Extension. She is a Registered and Licensed Dietitian Nutritionist residing in the South Florida area. Holli believes that quality dietary supplements are an essential tool that have a variety of applications from maintaining good health to managing chronic disease.